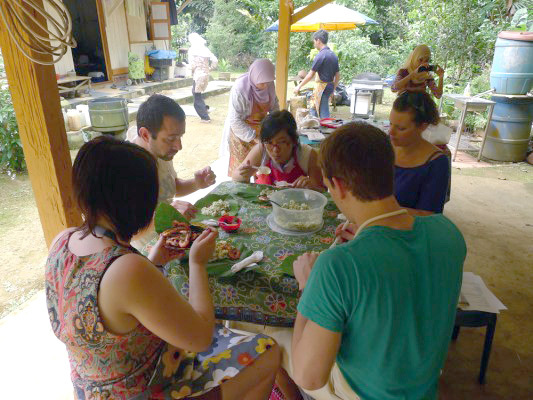 Take a trip to an island north-west of Singapore – and half a decade into the past – for my most special cooking class. 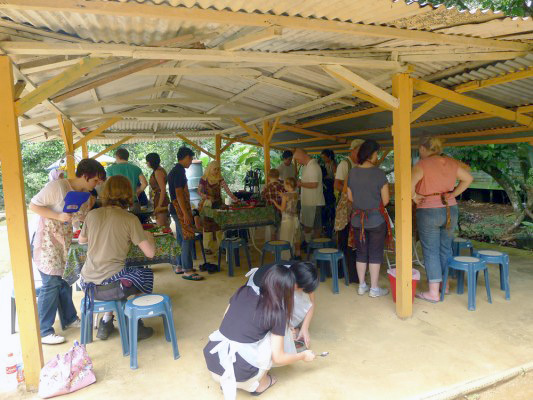 This class is held in a 100-year old house on stilts on Pulau Ubin, a 10.19 km² island which has held out on urban development, and is reminiscent of Singapore of the 1960s. To get there, we will take a 10-minute bumboat ride from Changi Jetty, and then it is a short stroll to the home of Madam Kamariah and her family, who have grown up in the house. They form part of an island community that is just 60-strong. 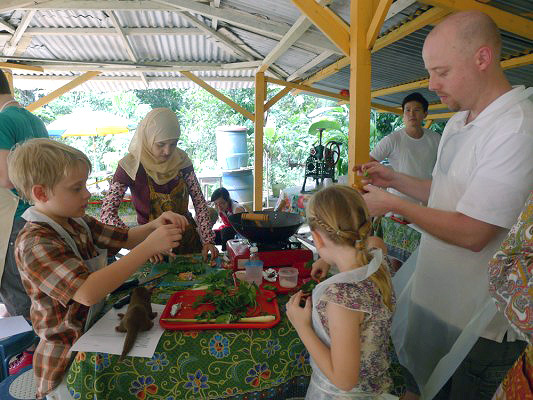 Among other dishes, you’ll learn how to cook a unique – and healthy – Malay dish called Nasi Kerabu. 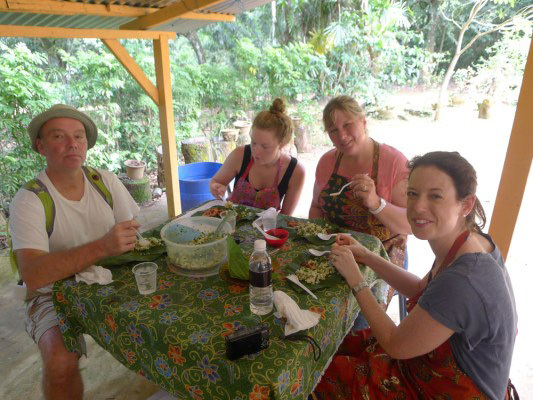 This dish uses 30 different jungle herbs gathered in the vicinity. Find a day that suits you and book online now! Looking for more classes to join? 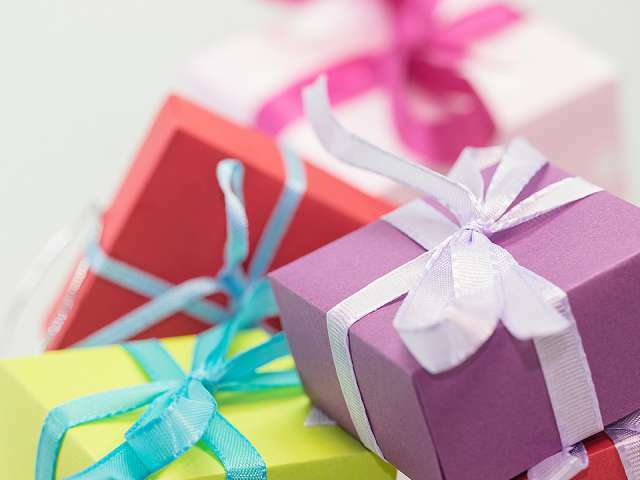 The gift of cooking is one that keeps giving, making the Cookery Magic Gift Voucher an ideal present for newlyweds, good friends, or even children going away to university abroad.